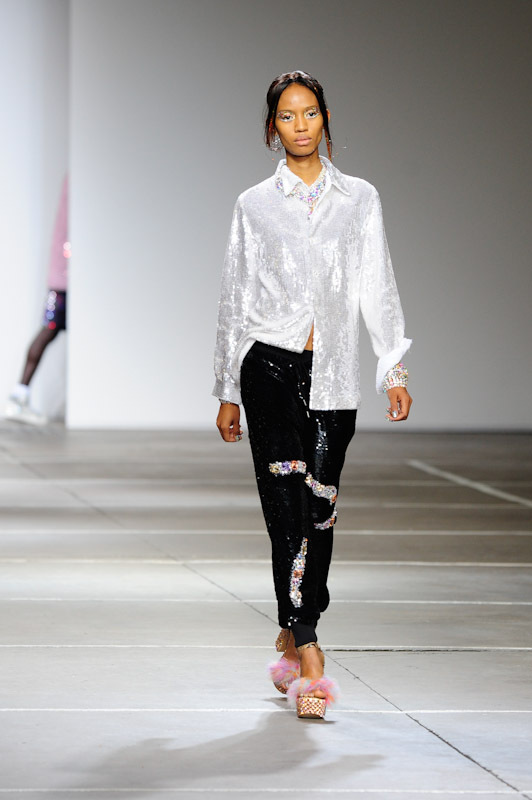 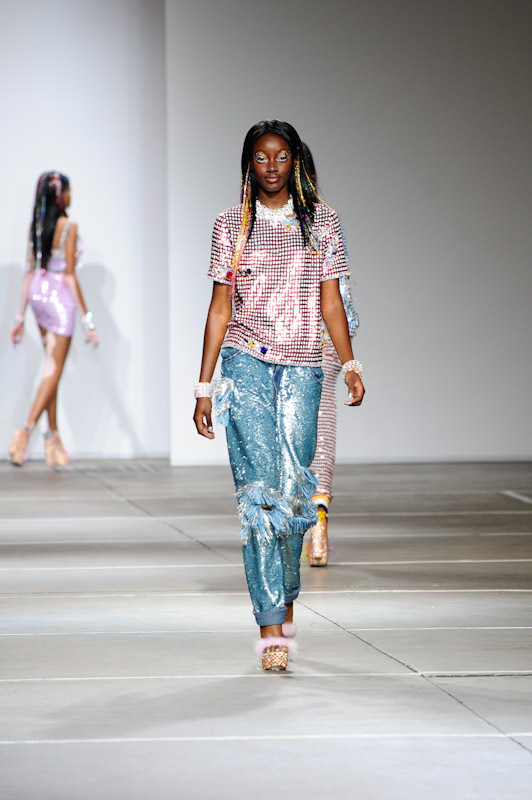 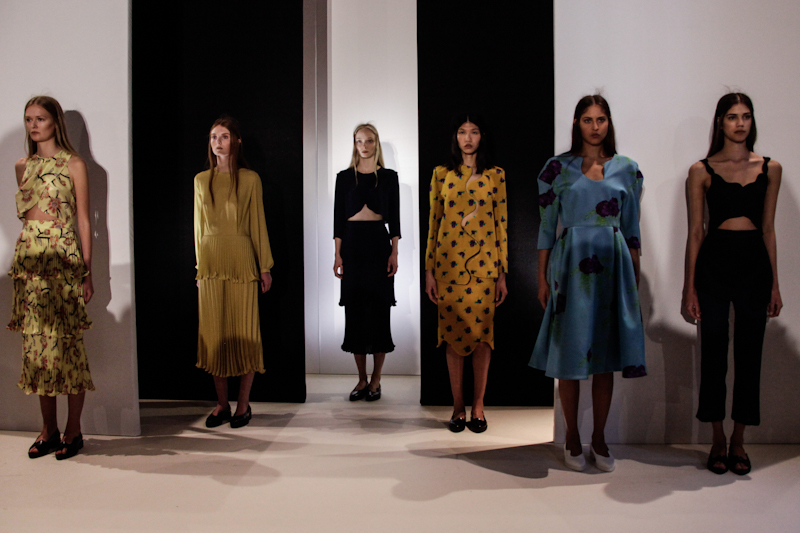 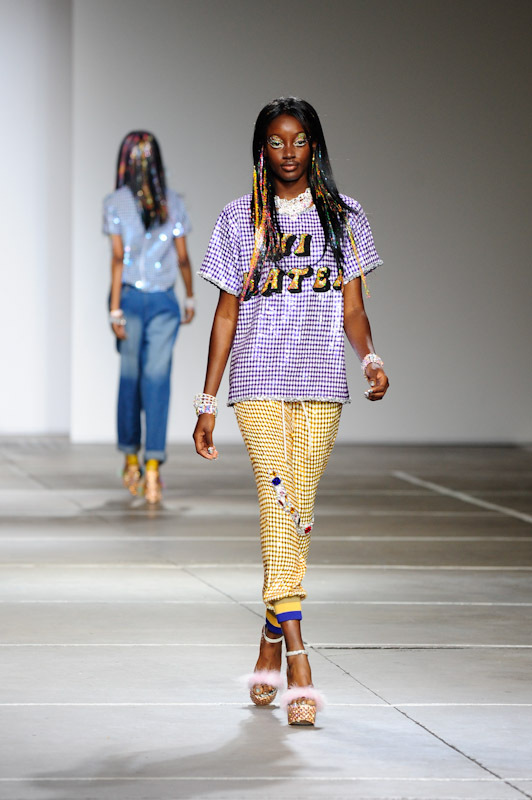 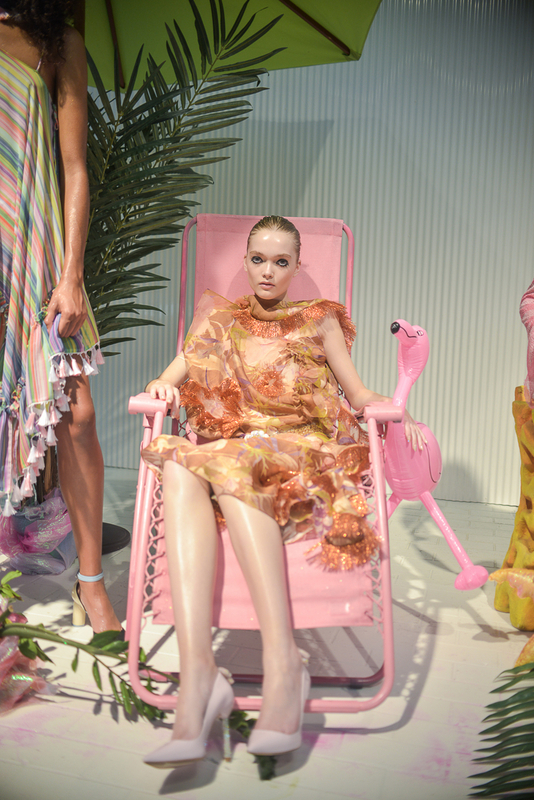 The Topshop Show Space opened its doors for the final time today, to exhibit the Ashish spring/summer 2015 collection, at London Fashion Week. 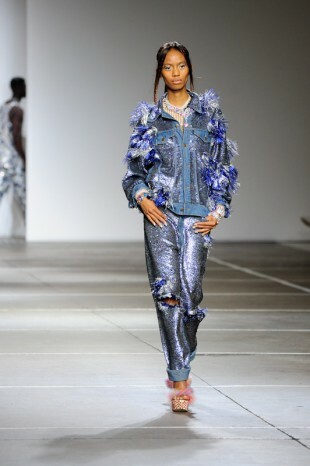 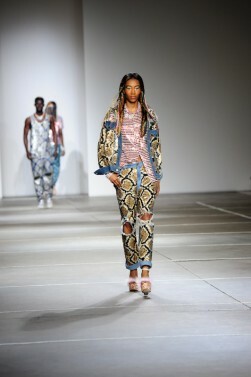 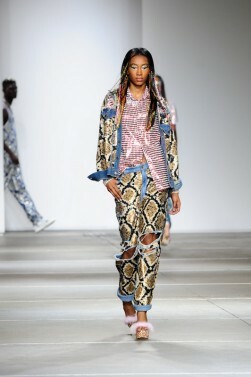 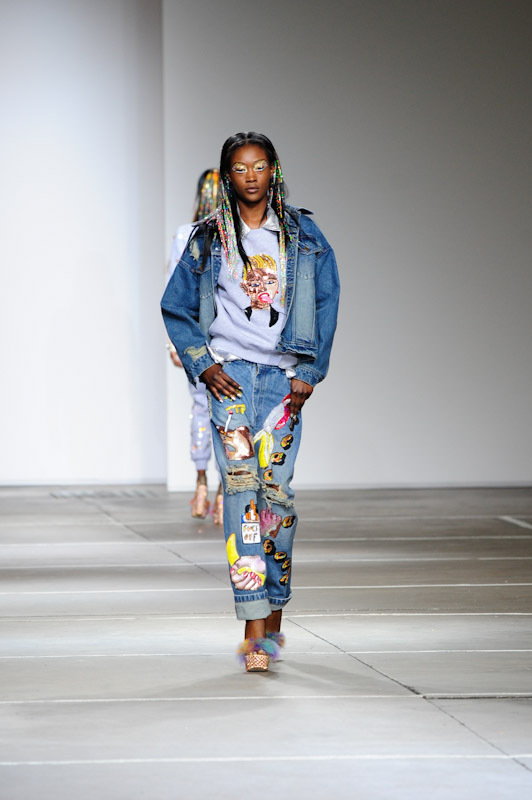 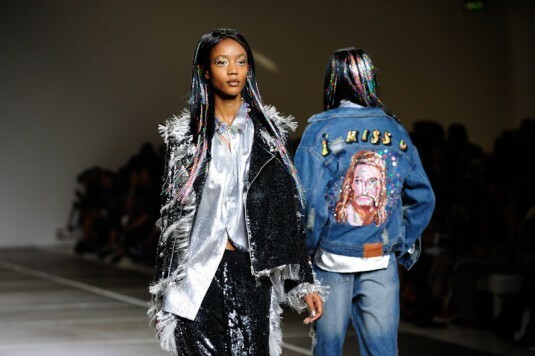 The London-based designer pulled out all the shimmer and shine stops, creating a hypnotic haze of sequins, flamboyant ruffled denim and tongue-in-cheek logos, each taking full command of the runway. 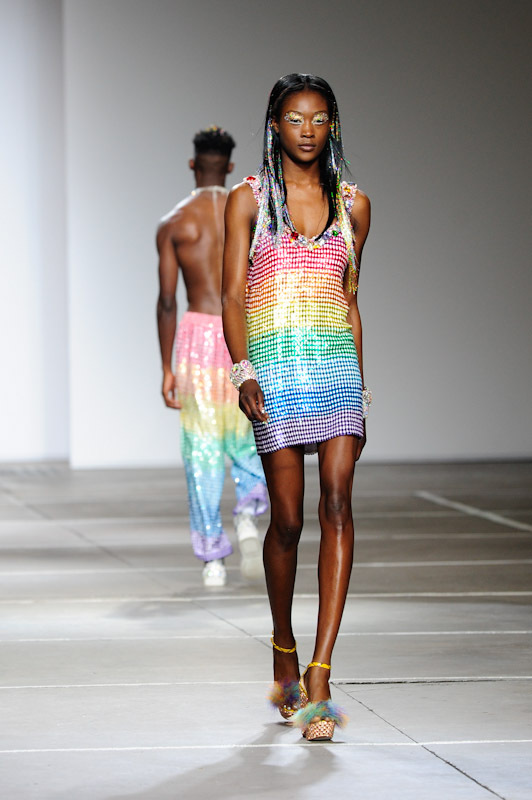 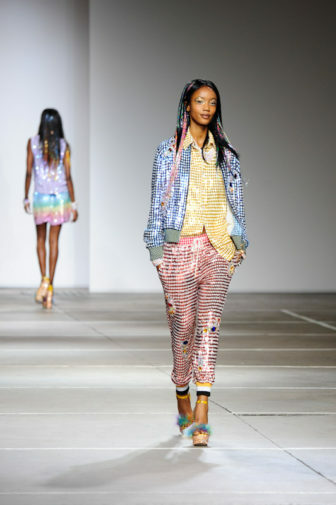 Rainbow-hued sequins smothered co-ordinates and feather, embellished platforms put yet a further sparkle in the Ashish girl’s step. 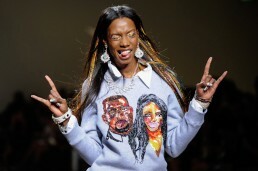 Winnie Harlow led a trail of little dresses that were anything but conservative: slinky, shiny and encrusted with gems. 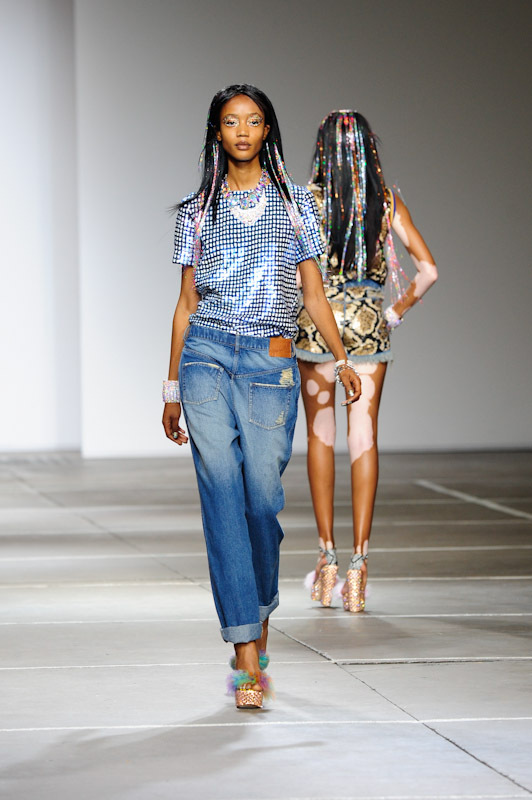 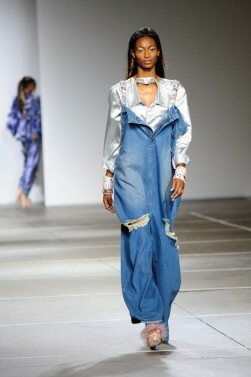 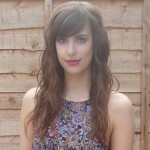 Silver metallic shirts were worn under oversized ripped overalls, whose strands unfurled into full fringes, whilst baggy back-to-front jeans also made an appearance. 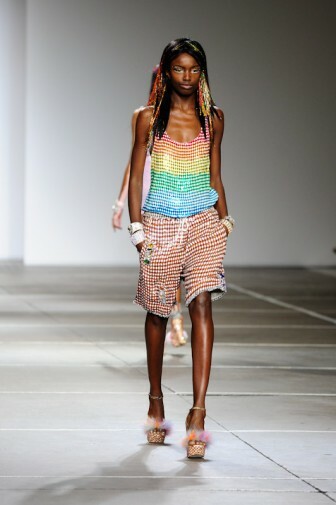 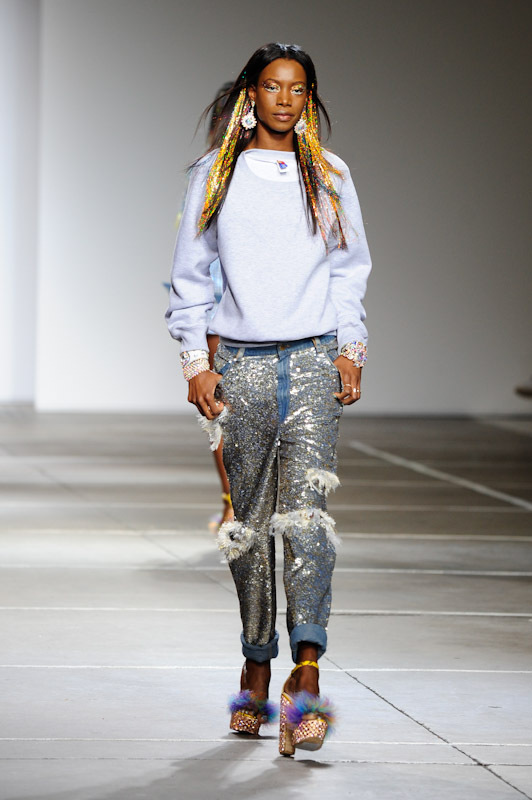 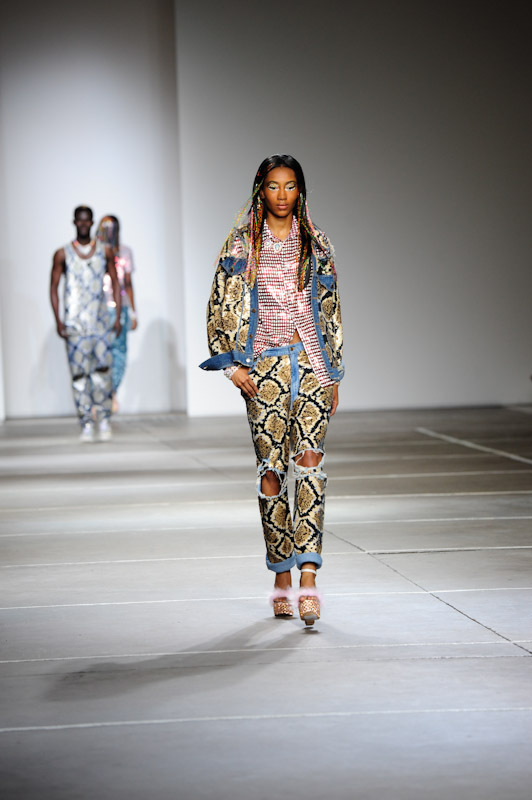 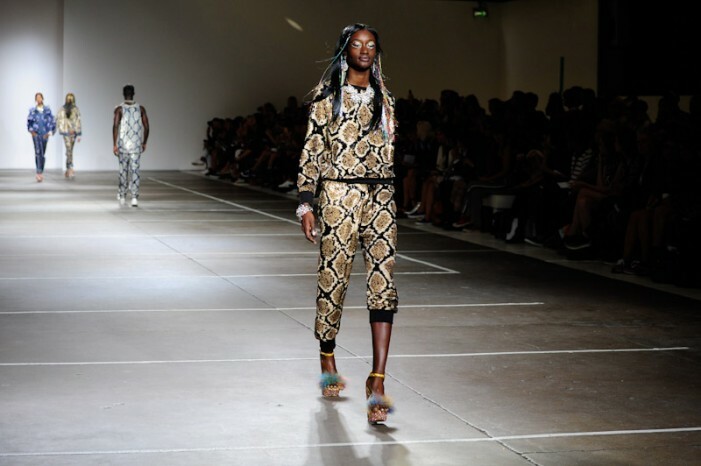 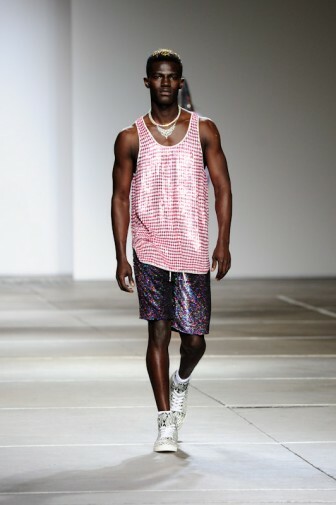 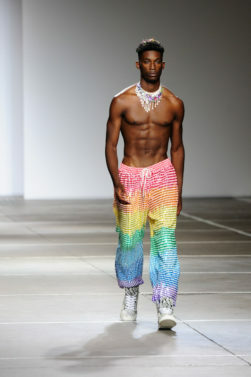 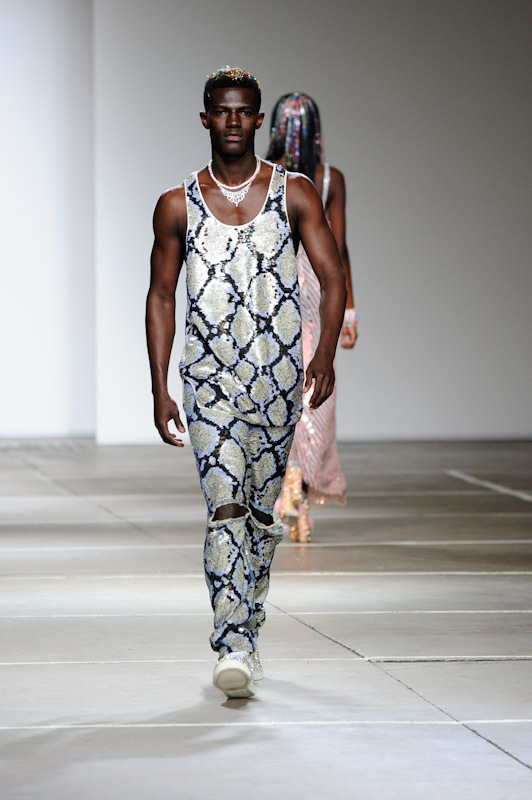 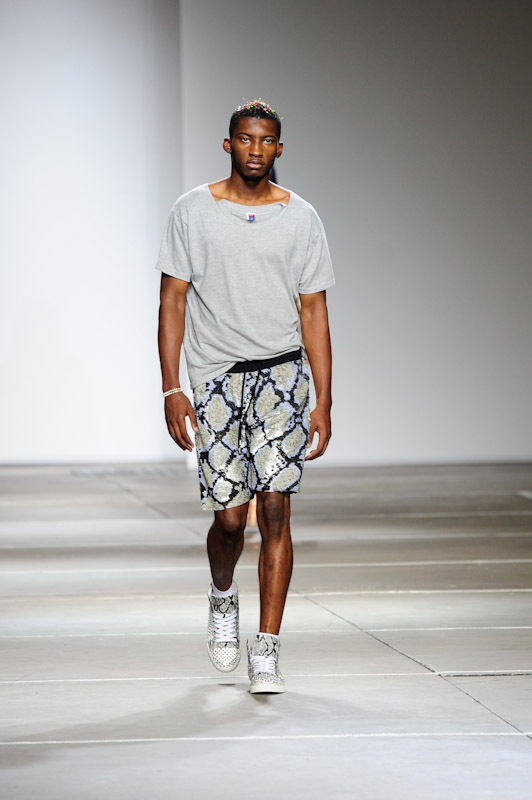 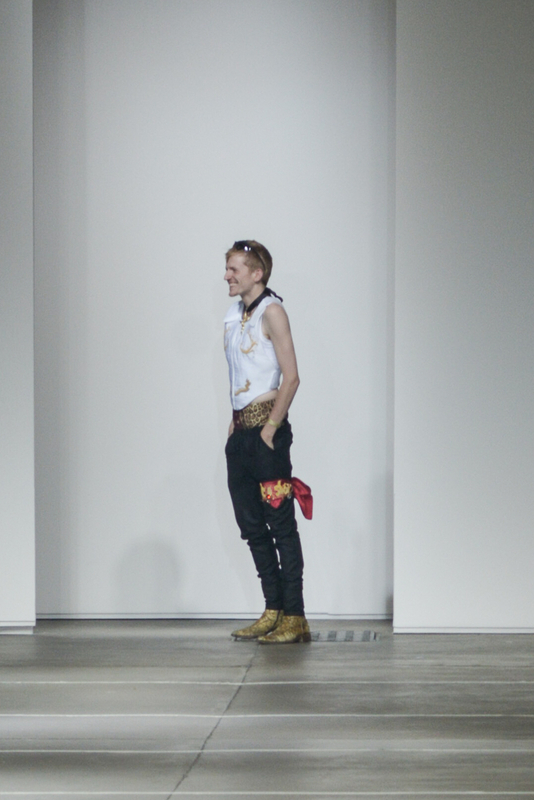 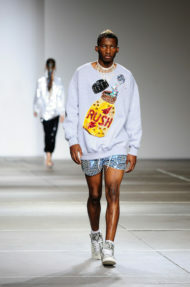 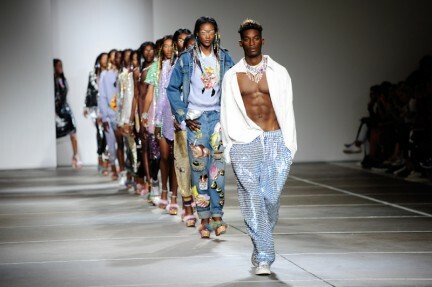 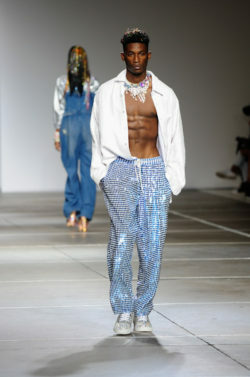 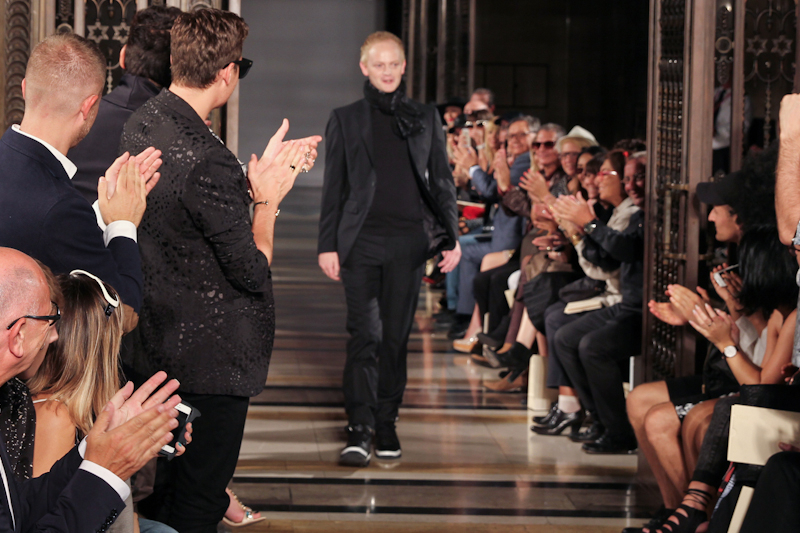 It was party time on the catwalk for the males too, as they showcased an array of sequined joggers and snakeskin shorts, paired with matching trainers and completed with statement metal necklaces. 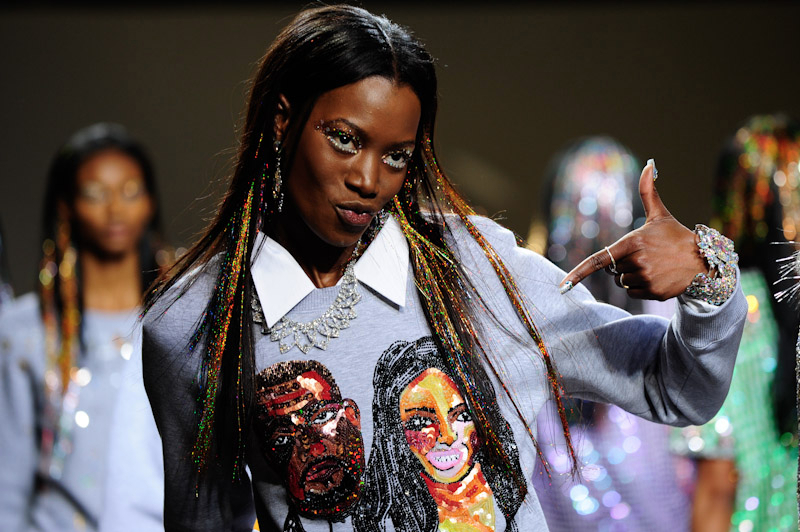 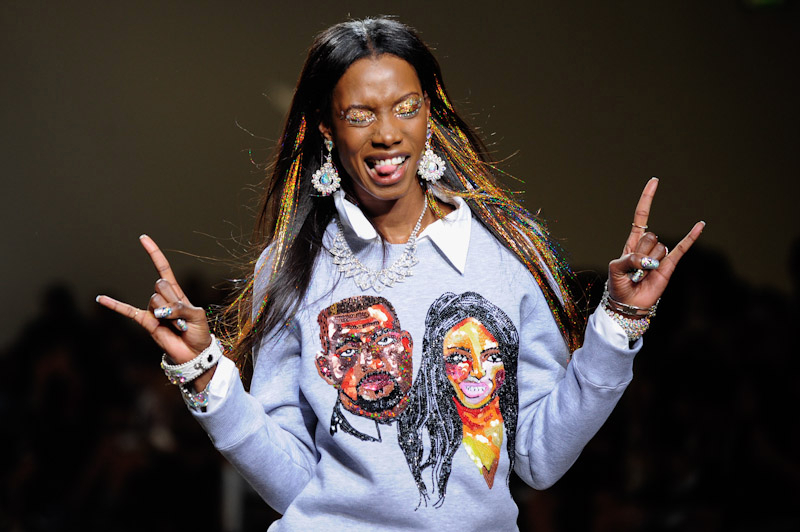 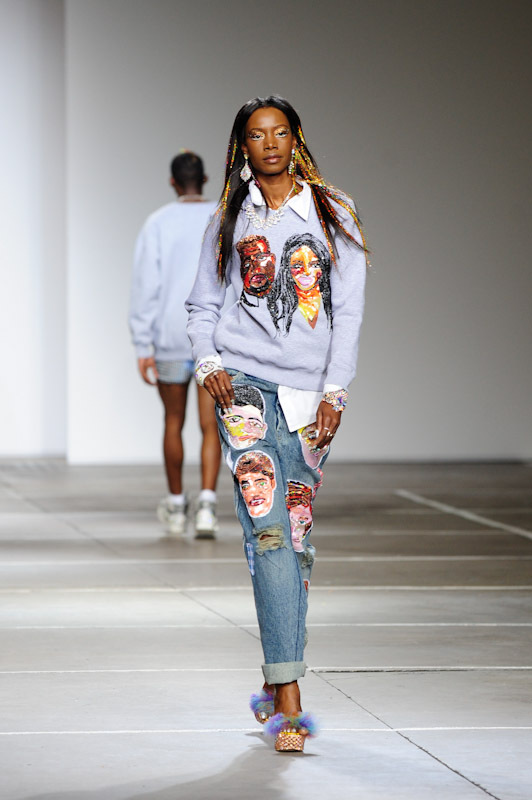 True to the brand’s signature light-hearted attitude, slogans and prints were welcomed, with t-shirts reading “HI HATER” and sweats emblazoned with vivid illustrations of A-listers, such as Kanye West and Kim Kardashian, for our celebrity-obsessed society. 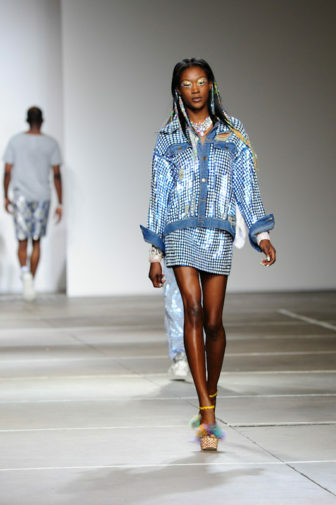 Maybelline created a futuristic, tribal facade for the models. 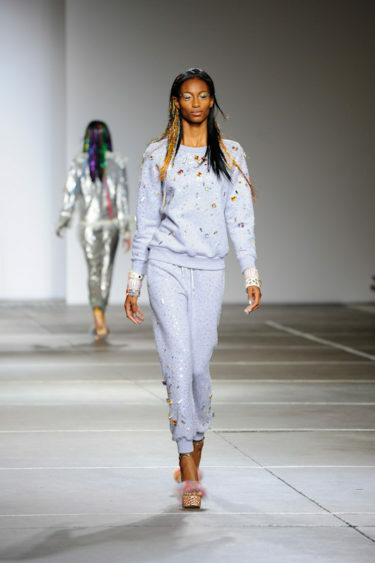 Intricate bejewelled eyes were drowned in glitter shadow and lined with crystals, whilst multicoloured tinsel hair extensions formed playful long locks.